If you think about it, it makes sense, pinot noir grapes like a long spring and fall, and cooler weather. The maritime climate on Whidbey Island has both. Add good soil and less rain, and you’ve got the makings of award-winning pinot noir. That’s exactly what’s happening. Three wineries ‒ Spoiled Dog Winery, Whidbey Island Winery, and Comforts of Whidbey ‒ are making a splash with island-grown pinot noir. Spoiled Dog Winery, the first to commercially plant the varietal on the island, has consistently produced award-winning estate grown pinot noir since 2009. Their most recent pinot noir accolades include a double gold medal at the 2017 Seattle Wine Awards, a spot (#32) on the 2017 Top 100 Red, White & Pink Wines from the Seattle Wine Awards, and a coveted platinum award for “2018 Best of the Best” from Wine Press Northwest. Their barn-style tasting room sits on a gently rising slope overlooking three acres of vineyards on their 25-acre farm. Open on the weekends, from 12 p.m. to 5 p.m., guests can sample a selection of wines and cleanse their palette with delicious wine cheese or enhance the flavor with bites of chocolate. Purchase a glass to enjoy in the garden, or buy a bottle, and a couple to take home as you won’t find any of their wines in retail stores. And, if you live nearby or plan to return, they have refillable growlers for their Pooch Red and Pooch White. Whidbey Island Winery produced their first pinot noir in 2013 with grapes grown at Cultus Bay Vineyards on south Whidbey Island. Recent awards for their pinot noir include a bronze medal at SavorNW, a silver medal at the Seattle Wine Awards, and a silver medal at the Cascadia Wine Competition. 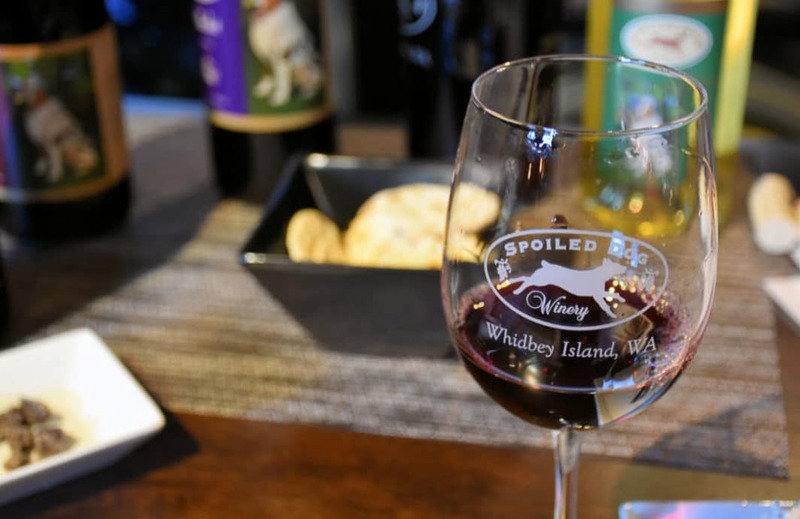 Plenty to sample at Whidbey Island’s Spoiled Dog Winery. 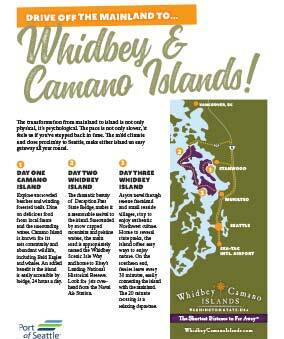 Wineries, Distilleries, and Breweries have been springing up all over Whidbey Island and Camano Island! The winery is located on a former orchard, and the cedar-shingled tasting room is nestled next to three acres of vineyards. Guests may choose a wine tasting, or buy a glass or a bottle to enjoy on the patio under century-old apple trees. In the summer, there are also tasty nibbles and cheeses available. If you fall in love with their pinot noir, be sure to purchase some during your visit, as it is only available in their tasting room and a couple of locations on the island. Tasting room hours are 11 a.m. to 5 p.m. During the winter they are closed Monday and Tuesday, and in the summer on Tuesday. Another winery making island-grown pinot noir is Comforts of Whidbey. 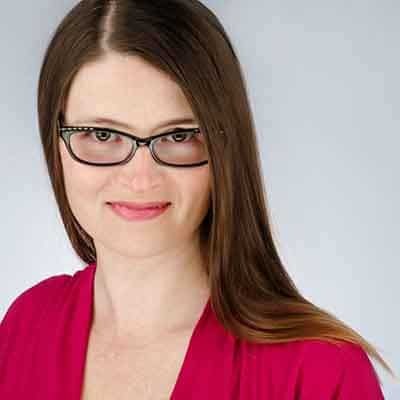 They haven’t won any awards for their pinot noir as of yet as they’ve only produced small batches, but their other varietals have won gold and silver medals from Savor NW. Their rustic industrial tasting room overlooks a farmscape with orchards and water views, and nearby are the farm’s resident llamas, cows and alpacas. Previously, their small batch pinot noir have been part of the wine club membership only. This year, visitors will be able to taste pinot noir and buy bottles at the vineyard. During the summer season they feature cheese trays, and plan to have live music on the weekends with complimentary wood-fired pizza appetizers. Tasting room hours are Thursday, Friday and Monday from 12 p.m. to 6 p.m., and on Saturday and Sunday from 11 a.m. to 6 p.m. These wineries make around dozen wines, and many have earned notable awards. They also allow you to bring a picnic lunch or snacks to enjoy along with your wine experience. And, if you are interested in their wine club, attending one of their special events, or helping with next year’s harvest, sign up for their email list. Ready for Your Whidbey Island Wine-cation? To taste this award-winning wine, all you have to do is drive an hour north of Seattle, hop on the Mukilteo Clinton ferry to Whidbey Island, and the wineries are less than 10 minutes away. Or, if you are coming from the north on I-5, go west on HWY 20 over the Deception Pass Bridge (Local tip: Stop to check out the most photographed bridge in Washington State) and then enjoy a leisurely drive to the south end of the island. 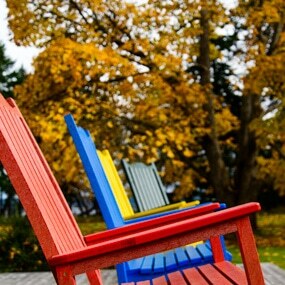 Whidbey Island has plenty of places to stay. 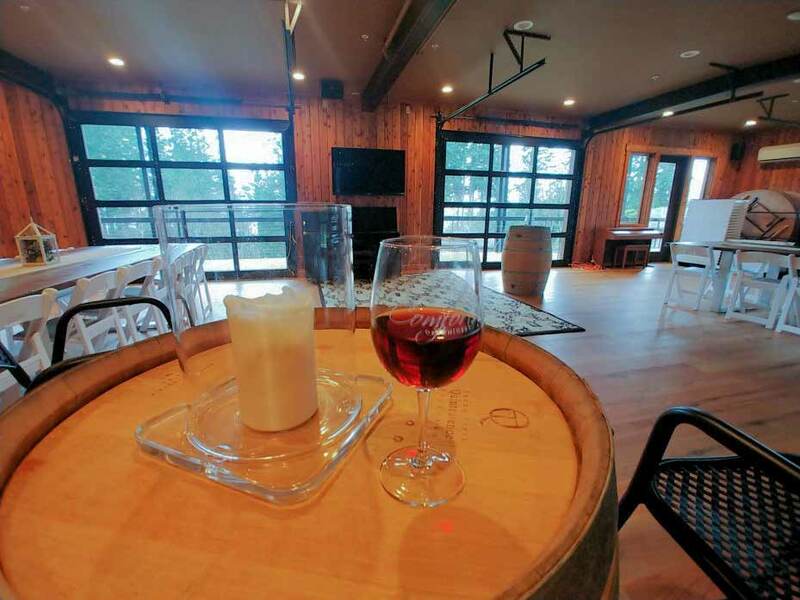 If you are looking for a winery stay, Comforts of Whidbey has a bed and breakfast with six guest rooms above their winery and tasting room. Make it a weekend on Whidbey Island with the Red Wine & Chocolate that takes place over two weekends in February. This popular event by the Whidbey Island Vintners & Distillers Association is a great Valentine’s Day getaway with your sweetie or a girlfriend getaway. To find out more and purchase tickets go here. 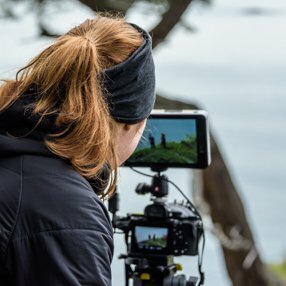 There are two more wine events on Whidbey Island, Savor Spring Food, Wine & Spirits Tour in May, and in November, Autumn on Whidbey. To find out more and see upcoming dates visit the website.